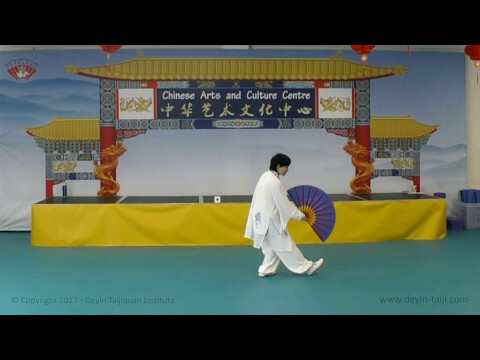 The Deyin Taijiquan Institute regularly hosts various Taijiquan, Kung Fu & Health Qigong events. we would like to share these memorable times with all enthusiasts who would like to keep up to date with the progress of our organisation. More videos are available to logged in members. 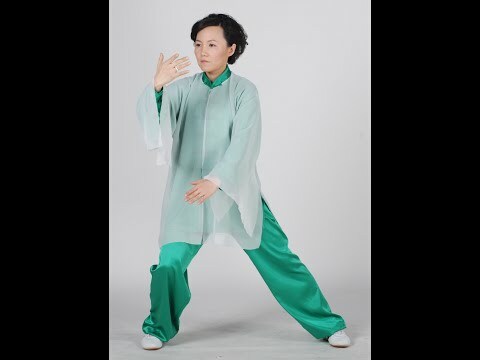 This form was structured and promoted by Grand Master Li Tian Ji, based on traditional Yang Style Tai Chi. 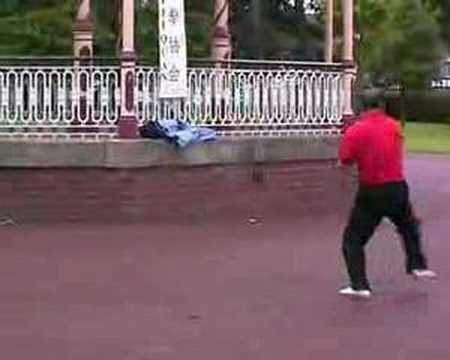 Although this form was reduced in movements but not compromised on principles, essence and finesse of Yang Style Tai Chi. Sun style Tai Chi is one of the 5 majors style. Master Tary is the direct lineage bearer of the style. 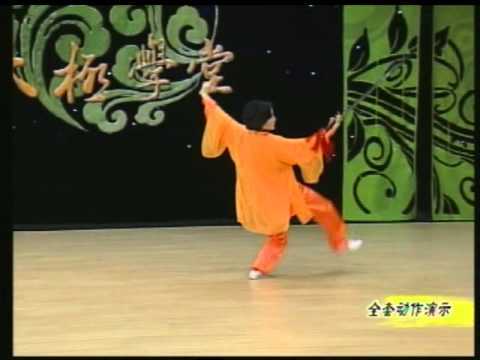 Sun style is a unique style consisting of the characteristics and inner essence of Tai Ji, Xing Yi and Ba Gua. 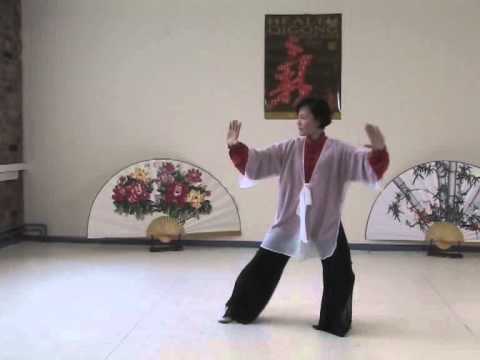 Ma Wang Dui Health Qigong is a very popular qigong exercise for health. The form is being demonstrated by Master Tary Yip, Vice President of the British Health Qigong Association, Founder and Chief Instructor of the Deyin Taijiquan Institute (International) along with a group of students attending a Tai Chi and Qigong exchange organised in China every year. This a a shorter version of the Ba Duan Jin Health Qigong. it is design to either for beginners to start at a slightly less demanding set and slowly work they way up to longer and more repetitions. It is done in a short duration so enthusiasts can use it in competition or exchange. 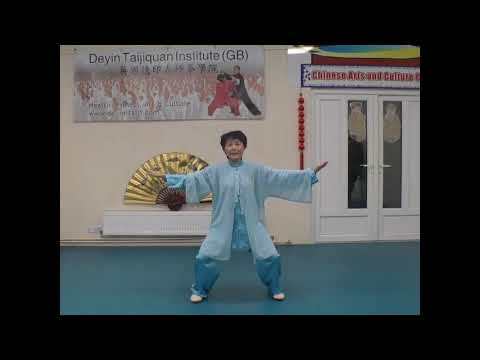 This form is performed by Master Faye Yip, one of Europe's most respected Tai Chi and Health Qigong / Chi Kung Masters, She is the president of British Health qigong Association, founder and chief instructor of Deyin Taijiquan Institute. 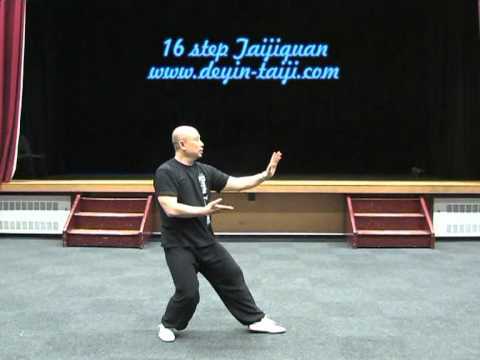 Yang 10 step taijiquan is composed of 10 movements, each of which is used in the Yang 24 Short or Simplified Form. This form is particularly useful for practising in a small area, (like a hotel room) The simplicity of the sequence makes it ideal for focussing on the accuracy of postures, and for learning to incorporate the 10 essentials into your performance of all Yang styles. 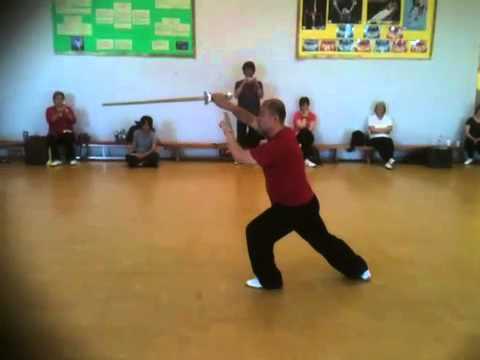 Yang Style Tai Chi Sword, great for novices and people who would like to understand a bit more about the characteristics of Tai Chi Sword play. Sun Style Tai Chi chuan is one of the five major Tai chi Styles. Created by Grand Master Sun Lu Tang. the routine here is a short version of the system aimed at giving enthusaists an insight to this unique system. It is also a fantastic exercise for health and wlebeing and proven to be significantly beneficial for people suffering from osteoporosis, Arthritis, joint conditions and blood circulation problems. Master Tary is one for the world's leading master and standard bear of the style with direct lineage to Sun Lu Tang. Xing Yi Quan demo in the Tai chi in the park 2007 by Deyin Taijiquan Institute Chief Instructor Tary Yip, senior Student of Li Deyin. Xing Yi Quan is one of the internal martial arts styles in China, it is a effective martial art as well as an excellent exercise for health. 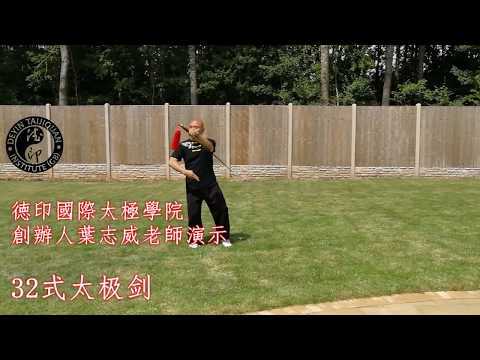 this form is based on Hebei style Xing Yi. 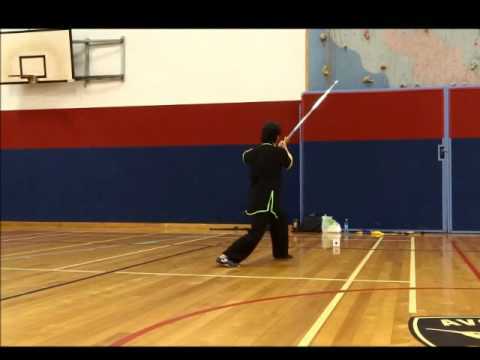 Master Tary Yip is the senior student of Professor Li Deyin, and the Family style Xingyi is based on Sun Lu Tang & Li Cun Yi Style Hebei Xing Yi Quan. This form consists of a mixture of softness & power, speed and accuracy. 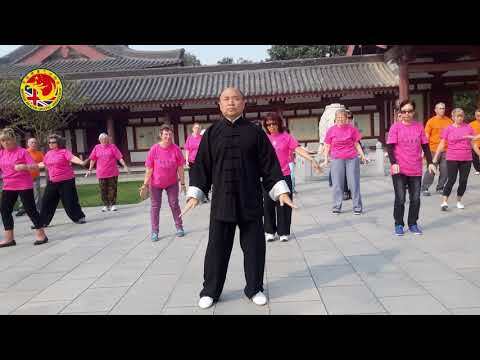 One of the oldest Qigong / Chi Kung exercise sets for health and wellbeing in China, with over 1000 years of history. The demonstration is done by Master Faye Yip, the president of British Health Qigong Association, the official body for Health Qigong in the UK, and offical partner with the Chinese Health Qigong Association of China. 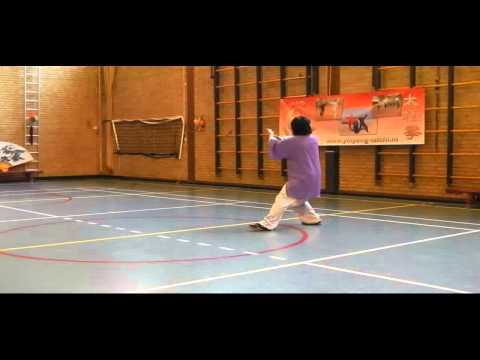 Xiyangmei Taiji Kungfu Fan is the second routine created by Professor Li Deyin as a progression from the first routine. 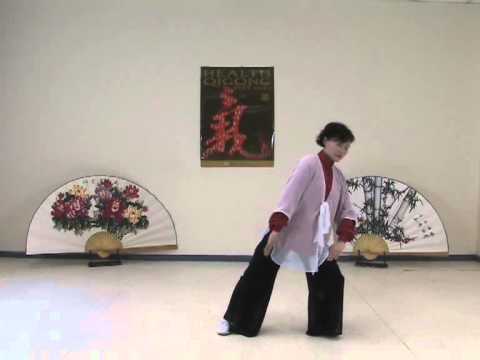 demonstrated by Master Faye (Li) Yip, the first person to learn this routine. 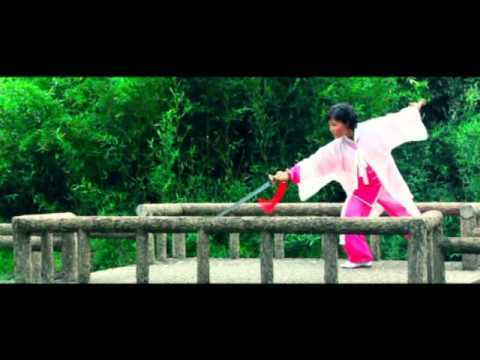 This a fantastic sword routine combining the dynamics and agility of Wudang Sword and the flow and gracefulness of Tai Chi sword. created by Grand Master Li Tian Ji, Master Faye's Great Uncle. 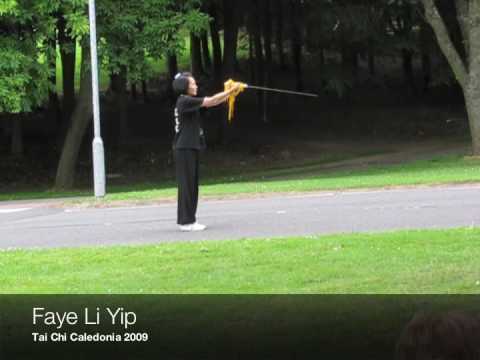 This sword form is the Master Faye Li Yip Family Flagship and well practised by millions of People in the world. This is one of the most practised Yang Style sword rotuines in the world, structured by Master Faye's great uncle Li Tian Ji. in this video Master Faye does a slightly slower version so enthusiasts and students can follow and practise. 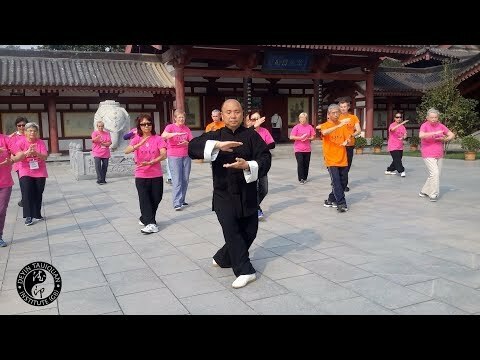 Traditional Sun Style Tai Chi is one of the 5 major Tai Chi system created by Grand Master Sun Lu Tang, who combined the inner essence of three major styles of internal martial arts namely Xing Yi, Tai Chi Bagua to form this unique system of Tai Chi. Master Faye Yip's great grand father Li Yu Lin was the senior student of Sun Lu Tang. 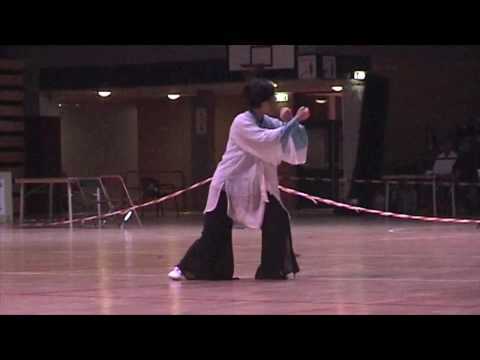 Master Faye is the the direct lineage holder of this amazing style in Europe. She has learned this system under the strict tuition of her father and also received invaluable guidance from late Grand master Sun Jian Yun, daughter of Sun Lu Tang from a young age. This routine is a competition routine specially restructured to suit conform the rules and standard of compeition. it is also a very good form to practise for health. Master Faye Li Yip's family is the direct lineage from the founder of Traditional Sun Style Tai Chi, Grand Master Sun Lu Tang. She is one of the highest authorities in the system in Europe and has in-depth understanding and knowledge on the great traditional system. 42 Step Tai Chi Chuan / Taijiquan was created by Professor Li Deyin, it was used as international competition routine for more than 20 years. 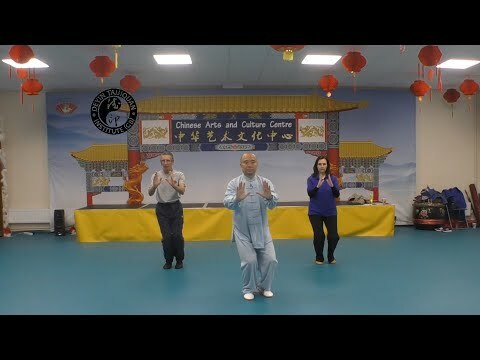 This fantastic routine combines some of the unique characteristics of 4 different styles of Tai Chi, namely Yang, Sun, Chen and Wu. 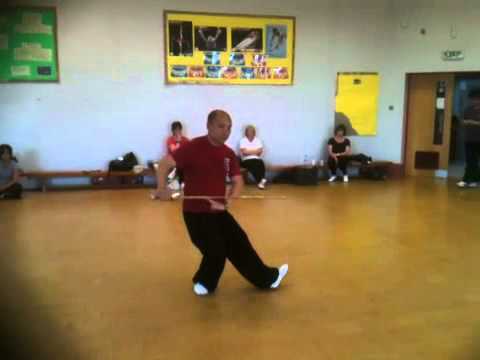 Master Faye is one of the few people with an in depth knowledge and understanding of this routine. 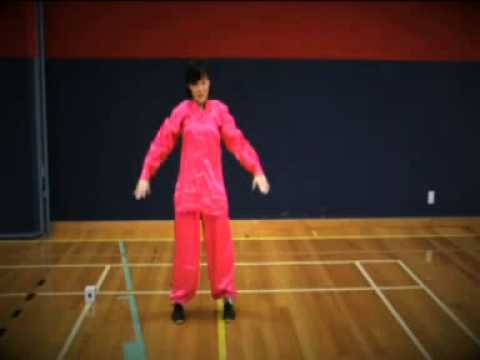 This set of warm ups are great for Pre- Tai Chi, Qigong practice. it is not too demanding and yet works through all parts of the body. every muscle and joint are warmed up and ready for Tai Chi and Qigong exercise. this video contains an interview with Master Faye when she was invited to teach at the World Economic Forum held in Tianjin in September. 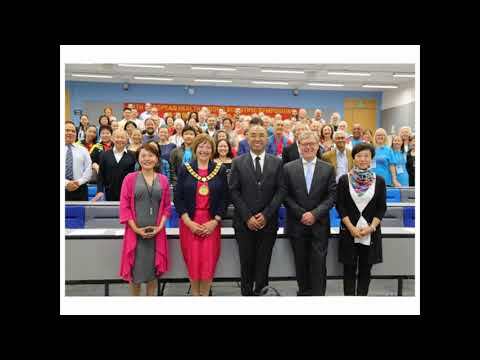 In 2014, Faye Li Yip, head of the British Health Qigong Association and the Deyin Taijiquan Institute asked her students to provide brief video testimonials for display at the New Champions Meeting, Tian Jin, China, in September 2014. Faye had been invited to be an instructor at this event by the World Economic Forum based in Geneva. The testimonials are to promote the health benefits of Qigong and Taijiquan. The four videos were compiled from over 50 submissions. 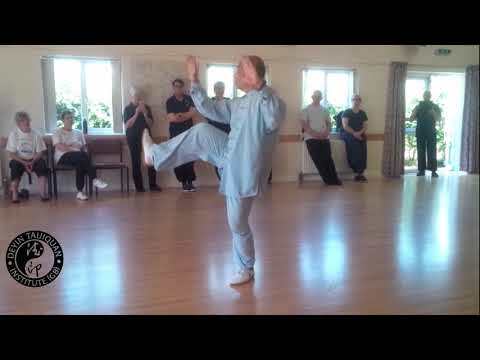 This is an excellent qigong exercise created by Master Faye's grand Father based on the inner essence of Xing Yi Quan and Qigong. good for improving internal health, health and wellbeing of the physical and mental aspect. Sun Style Tai Chi is one of the 5 major styles of Taijiquan, Masters Faye and Tary Yip are the direct lineage from grand master Sun Lu Tang. The 13 step is a beginner's routine designed to give a sound introduction to this style.